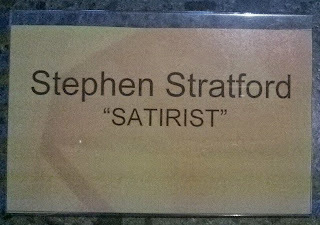 This weekend I am mostly doing an editing job for the Ministry of Certain Things. They sent me a PDF of their 40-page Code of Conduct, according to which I must not bully or sexually harass any of my staff, use inappropriate language or touch them inappropriately. Chance would be a fine thing. I work home alone. So here is Frank Zappa, recorded live in 1981, with “Sexual Harassment in the Workplace”. Released with wild optimism as a single in 1988, it is basically a guitar solo, performed on a Fender Stratocaster that used to belong to Jimi Hendrix. Nominative determinism: the drummer is called Chad Wackerman. This is from the edition of Monday 25 May. As always, spelling, punctuation, grammar and logic are exactly as printed in the Waikato Times. How life has changed! There used to be a time when bottle drives and working bees were an every weekend event somewhere in the community. What has happened? They seem to have just disappeared from charities’ market. Or is it the exceptional success of the telephone charity programmes network for donations of cash? Our community life has changed and today’s shopping is a succession of plastic containers and shopping bags. A downward spin-off is the community bottle drives and a drop in the number of working bees for charities. We live in a plastic world where everything is plastic wrapped and bottled, making plastic mountains of rubbish. Then there is another probability, that the rubbish tin can market is booming and becoming another major money earner. Our drinking habits seem to be a cause of some change. Now it’s wine bottle drinkers and no longer just beer bottles that changed the glass bottle market. But is it a sign of the times? We have become more well-to-do? He was born on 19 May 1945, which makes him 70 today. I was never a big Who fan but have been listening to Tommy today, as one does, and it has held up better than most 60s “classics”. As a teenager at the time I had the 45 of “Pinball Wizard”. Great use of a descending series of suspended chords on a 12-string and also the combination of acoustic and electric guitars plus brilliant drummer and bassist. All versions of the song by this band are amazing. The 79th in this occasional series of reprints from Quote Unquote the magazine is from the December 1994 issue. 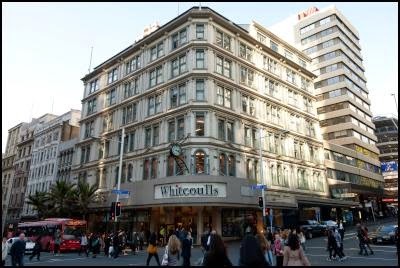 With Whitcoulls pulling out of its big Queen Street store in Auckland, to be replaced by a Farmers, here is a story welcoming the launch of that store in November 1994. NIGEL COX looks over the new Whitcoulls superhypermegastore in Auckland’s Queen Street. Okay, cards on the table: I’ve always hated Whitcoulls. Big, loud and thick – and that’s just their carpets. As a bookshop, a ﬁne place to buy ﬂuffy dice, My Lobotomy by some ex-All Black, confetti, or Jilly Cooper’s Advanced Jodhpur Spanking. Messy, confused (Wild Swans in the pet section), ill-informed (Pepys’ Diary? “Sorry, sir, this year’s diaries aren’t in yet”) but with enough clout to bat away the independents which I favoured (and worked for) like so many house ﬂies. The book trade’s nicknames said it all – Big Brother. The Sleeping Giant. The mess developed gradually during the 70s when, after the acquisition of printers Coulls, Somerville, Wilkie, stationery became the chain’s big moneyspinner. “More than a bookstore” was the 80s slogan, which said it all, really: If only we could forget about books altogether. The giant shuddered from its slumbers in 1991 when it was bought by the Rank Group, who already owned the Government Printing Office. Soon Rank was buying Croxley Collins Olympic and other stationers and then, with the see-no-evil assistance of the Commerce Commission, London Bookshops. The big brother jokes turned to dark mutterings. But even the mutterers were silenced when in late 1992 it was announced that a massive new bookshop – “the biggest in Australasia!” – would be opened on Auckland’s Corner (the corner of Queen and Victoria Streets). “One of the best retail locations in the country,” enthused the Herald, and on it would be a bookshop so big that it would stock, surely, every book ever wanted by anyone. Cynics like me growled that, okay, maybe the books will be in there, somewhere. . . if you can ﬁnd them. If you don’t count a slight case of being burnt down in 1899, the building which stands on the Corner is over a century old, a three-storey version of it rising in 1893 to house the Direct Supply Company, who were general merchants. John Court bought it in 1912, and in 1916 another three levels were added along with the Italianate facade. It was John Court’s Department Store until 1972, when Cornishes had it for two years, before getting into ﬁnancial difﬁculties. From 1974 it traded as Auckland Corner Limited, home to Gordon Dryden’s Book Corner. This great independent (although all independents were great as far as I’m concerned) ﬂourished for many years, but was ﬁnally allowed to degenerate in the late 1980s. When Whitcoulls bought the beleaguered shop in 1988 it was a corpse that even corporate money couldn’t revive. Much the same had happened to the Corner itself, a mighty ediﬁce reduced to a rat palace. But that was before Big Bro started throwing dough. October 20: Walking through the place with Whitcoulls’ general manager Greg Howell, I can see that nothing is ever going to be the same again. It’s 22 days to opening and there’s not a book in sight, but there are 70-odd men, sweating men, all wielding power tools with the kind of urgency that suggests that the penalty clause on this one is seven storeys high. Howell steps briskly through the mayhem, shouting pictures at me. “Along here,” his arm sweeps, “there’ll be a giant ﬁction section, and over there, a huge New Zealand department.” The books I care about most, I see, are going to be on the ground ﬂoor’s prime space: interesting. We clamber over sawhorses and cables. Up on the ﬁrst ﬂoor, some of the shelving and stock are in place. The carpet, I’m forced to admit, is a great leap forward from the burnt-orange headache-inducer of old – it’s royal blue, with tiny white stars, and is divided by polished wooden walkways. The effect is (gulp) elegant. Howell says, “Up here we’1l have a thousand square metres of non-ﬁction, and children’s, plus a play area, and an information kiosk, with three staff members dedicated to providing the absolute latest on any book you’re interested in.” His enthusiasm, is contagious, even to one heavily inoculated against Whitcoulls’ charms. We step outside. From across the road the repainted facade looks marvellous. “There’ll be two ﬂagpoles, with ﬂags, and,” he says, pointing to a little spire, “the eternal ﬂame that used to burn in memory of John Court will be rekindled”, on the day the new shop opens. Nice. Roger Parsons expects it to improve his business, by bringing more book customers in from the suburbs. “To a certain degree”, he says, “Dymocks have already done that.” And John Todd of Dymocks, describing his main competitor as a “variety store”, says that business has been “extremely good” and that’s how he expects it to stay. Everyone seems to expect the new store to be just like the old Whitcoulls, only bigger. But walking over it, and talking to Greg Howell, I gain a strong impression that this is the beginning of a new era, with better decor, more depth of stock and sharper staff. November 18: The carpet’s red, not blue, and the stars were in my eyes – well, it’s hard not to be dazzled by three ﬂoors of brand-new books. But then a hard look begins to show the light and shade. “The biggest video store in Australasia” turns out to be pretty small, but who cares about video? The Bookuccino Cafe isn’t going to worry the style-czars of High Street, but this is Queen Street; it’s not bad. The New Zealand section isn’t large, but that’s only temporary – after Christmas, I’m promised, an area the size of a big lounge will stop selling plastic holly and poets like Curnow, Smither and Ireland will be in stock (at present they aren’t – a bit of a worry). In fact, this isn’t a good shop to seek poetry in (Kipling, Keats, sure, but no Bishop or Larkin or Pound) or lit crit or other artnik-oriented items. Nothing much from small presses or that’ s a bit hard to get. But on the other hand there’s a generous and nicely presented range of all the main paperback imprints, will real depth in Picadors and Penguins and a solid range of the latest hardbacks. Solid, that’s an accurate word. The store is well-signed, so you can ﬁnd your way, and once you start looking through the various departments, all the non-ﬁction that you’d expect is there, in depth – health, business, reference – and mixed in, the odd really nice book at a good price; I saw an attractive-looking biography of Goethe at $10.95. But this isn’t a bargain store. There’s a few good opening specials (Once Were Warriors at $9.95) but clearly remainders will not be a feature. The information kiosk is marvellous. Its staff hadn’t necessarily heard of the book you were enquiring about, or even its author, but there it was on screen so it could be ordered with ease, and yes, I could have a print-out of everything he’d written – 4½ pages of detailed bibliographic information, for no charge. Impressive. The nicest thing was the lack of clutter. A Whitcoulls with room, and with the books presented as though someone who liked them wanted you to see them too. In fact the sense of attractively-ﬁlled space is one of the impressions you come away with – islands of books in light and air. As several book-trade old lags muttered, among the books themselves there’ s not much that surprises, which is a limitation. And the Whitcoulls’ slogan for the 90s – “always something new” – correctly suggests that the shop is light on backlist. But the average customer will, I think, be delighted by a clean, modem, general-stock-in-real-depth bookstore, and even margin-hugging cynics like me will be forced to admit this is a big step forward for the giant. From out on the footpath, you can see that, yes, the eternal ﬂame has been rekindled. Here’ s hoping. FOOTNOTE: Nigel and I thought this was a very positive story but after publication Whitcoulls cancelled all its advertising – it had been a regular on the outside back cover – which was quite a blow for a little magazine. Fortunately, Dymocks and occasionally Random House came to the rescue for the next two years, bless them. And Wild Swans being put in the pet section of a Whitcoulls store is a true story. The Wintec Press Club meets for lunch three times a year in Hamilton: guests are the students of the Wintec journalism course, important media types from the Waikato and Auckland, politicians and famous sporty types. And me. The host is Steve Braunias. The speakers are usually eminent media types with the occasional wild card thrown in. Last time the guest speaker was Pam Corkery. This time, Friday 1 May, it was a proper journalist, Paula Penfold of TV3’s 3rd Degree. The students get to mingle with big-name media types and newsmakers: most tables have one or two students who get to meet industry veterans. It’s a brilliant idea and I have always enjoyed talking with them and doing my best to discourage them from entering the profession, suggesting they instead do something either useful or lucrative. My table was all politicians and media but we played nicely: Labour MP Jacinda Ardern, her electorate person Barbara Ward, the Act Party’s Jamie Whyte (whose name-tag said “Former politician”), the Herald’s Toby Manhire and Matt Nippert, and Metro/National Radio’s David Slack whose name-tag, like mine, said “Satirist” in quote marks. 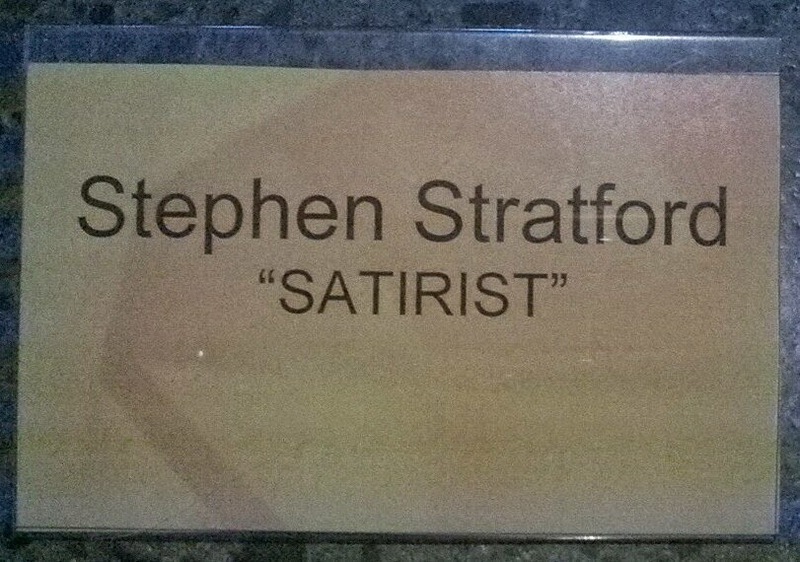 Perhaps the description was sarcastic, or even satirical. I said to Jacinda, “You’re reading my book.” I knew this because on Twitter she called New Zealand’s Gift to the World: the Youth Justice Family Group Conference “brilliant”. Scattered about the room were other celebrities: Jeremy Wells, Radio Hauraki’s answer to Mike Hosking; Bevan Chuang, whose name-tag read “Princess of chaos”; a past and the present editor of the Waikato Times; Jarrod Gilbert, award-winning author of Patched; cow-painter Joshua Drummond; Mark Lundy supporter Geoff Levick; and someone from National Business Review. As always, the food and wine was excellent. There was a rousing chorus of “Nah!” from all present. And so to the speaker, Paula Penfold from TV3’s 3rd Degree, whom Braunias introduced as “Mrs Brown Jesus” because she is married to Mike McRoberts. She is a local girl, she said: comes from Hamilton, rowed for Hamilton Rowing Club, started out in student radio at Waikato University. She was here to talk about her work that helped free Teina Pora, who served more than 21 years in prison for the 1992 murder of Susan Burdett. The Privy Council quashed the conviction in March. She started by crediting Mike White of North & South for the Mark Lundy retrial, Donna Chisholm for David Dougherty being released from jail and Pat Booth for the Arthur Allan Thomas pardon. The point was: dogged journalists can make a difference. She also gave credit to her producer for the Pora reports, Eugene Bingham, “the best investigative journalist I know”. Both Bingham and Penfold are former police reporters. Perhaps this is a clue for journalism students. It was a great example of what dogged journalism – she was clear about the hours and weeks of tedium involved – can achieve. It’s not glamorous. She ended with a big promo for her new show 3D (I think) on 24 May on TV3, featuring the first interview with Pora since his release. Then came the Q&A session. First up was Jacinda Ardern, then the somebody from NBR followed by a man with a beard, a student, David Fisher from the Herald, Jamie Whyte and the somebody from NBR again. After a standing ovation for the speaker, Braunias wrapped up with a harangue about the dire state of political reporting as against the rude health of crime reporting. Then he suggested that we all repair to the bar. I made my excuses and left. On 10 May the Herald on Sunday devoted a whole quarter page to photos from the event. This is how glamorous the Wintec Press Club has become: Bevan Chuang posted it on Instagram. The 78th in this occasional series of reprints from Quote Unquote the magazine is from the June 1995 issue: David Eggleton’s review of CK Stead’s anthology The Faber Book Of Contemporary South Paciﬁc Stories. This reprint marks CK being Honoured New Zealand Writer at the 2015 Auckland Writers Festival. It’s a free event: no ticket required. I had forgotten how much fuss this anthology caused, with five big-name writers pulling out at a very late stage. Another denied permission to be included right from the start – with admirable consistency, he didn’t allow his work to appear in the 2012 AUP anthology either.I had also forgotten what a good book reviewer David Eggleton is. Perhaps the only major omission, given the boycott, is the Maori radical writer Bruce Stewart, who should be here. Over two dozen writers are represented. Other writers could have been included of course, but Stead is an eclectic individualist and though some of his choices might be considered dead-ends others, notably Apirana Taylor, are given (over)due recognition. The first story, Marjorie Tuainakore Crocombe’s “The Healer”, is the colonial paradigm in miniature - pure politics: a Foucaultian textbook example of organised hierarchical power, with the poorest Cook Islanders on the receiving end. John Puhiatau Pule’s “Letters” is a self-contained chunk of his novel, The Shark That Ate The Sun. The letters are a two-decades-long exchange of correspondence between Nuiean immigrants and would-be Nuiean immigrants to New Zealand and in their epical way these missives carry a sobering sub-text about racial discrimination in the 40s and 50s. Tongan writer Epeli Hau’ofa’s “The Glorious Pacific Way” is also about cultures clashing but his take on it is an absurdist comedy of manners. Aid for underdeveloped nations becomes the endlessly available bankrolling largesse of the former European Colonialist turned Bureaucrat. Papua New Guinea is powerfully presented by the Papuan novelist Vincent Eri. In his story “Village, Church And School” he organically reveals the blurred boundaries between beliefs imposed by the missionaries and the core beliefs of the indigenous order, as a village holds a funeral feast and the different factions compete for the soul of the departed. By contrast, John Kolia, a British Australian living in PNG, tums in a clumsy camped-up piece on inter-racial cross-dressing that reads like bad Patrick White. Other attempts at cross-cultural integration do work. In “Farvel” Yvonne Du Fresne creates a delicately flecked, aesthetically satisfying pattern by weaving together the Viking and Maori spirit worlds. In “Outlines Of Gondwanaland” Janet Sinclair uses Rabuka’s 1987 coup d’etat as a springboard to dive down and recover, like handfuls of treasure, childhood memories of Fiji. Shonagh Koea, however, serves up a tropical cocktail with a twist of schmaltz – two parts Somerset Maugham to one part Judith Krantz – and Bill Manhire’s vision of the Pacific has the sterile and synthetic perfection of a computer game package: its closed circuit doesn’t illuminate anything except its own formalism. More pertinently, Janet Frame’s “The Headmistress’s Story” is a kind of witty, perverse commentary on New Zealand’s British-style provincialism of the 50s, and revolves around that totemic ancestor figure, the family patriarch. With “Paradise”, Ian Wedde provides a parable about the writing life in a boxed set of paradoxes. His Baudelairean-sounding South Sea idyll is actually set in a small southern city in frozen, slushy mid-winter. The story’s main character is the postie as poet – accompanied only by his Joycean interior monologue – making sure the mail gets through. For Wedde language is not so much a tool as an atmosphere, a plasma, it surrounds us, we are products of language, saturated in it. Others have a more overtly didactic programme‘ to implement. Stead’s own “A Short History Of New Zealand” fits in here, with its savagely Goya-esque role-reversing Maori antagonist and Pakeha protagonist framed by the civilised discourse of two Pakeha workers in the media industry. Vili Vete’s pointed sketch about Tongan village life encapsulates an entire world-view; while Joseph Veramu provides a lucid picture of the stultifying customs which have grown up around land tenure in Fiji. Subramani’s “Kala” brilliantly, if sometimes incoherently, finds Fiji’s ethnic tensions mirrored in the oppressive climate. Fellow Indo-Fijian writer Raymond Pillai presents a fragment of family life with the fastidious detachment of an RK Narayan or the early VS Naipaul. These last are among the best stories here. Honouring the book’s title, they offer the shock of recognition. They remake our perceptions of what it means to live in this region by shaking out anew the kaleidoscope of the South Pacific. This is from the 5 May edition. As always, spelling, punctuation, grammar and logic are exactly as printed in the Waikato Times. This was the time of the Spanish Armada and the threat of sea invasion of England. But the question is: do we want our children and grandchildren repeating foul language back to us? The media in all its forms has become a corrupting influence. Copyright Licensing NZ makes sure that authors and publishers are paid for the use of their work in schools, universities, training institutions, corporate libraries, copy shops and more. CLNZ is a very good thing: I was on the board for six years, from 2009 to 2014, so know exactly how good it is and how dedicated the staff are. Fiction and poetry authors, not so much: I got a cheque for $15 a few years ago. This is why, to the annoyance of fiction and poetry authors, the CLNZ grants/awards are skewed toward educational authors: it’s them what pays the bills. But I digress. CLNZ is about to start a quarterly newsletter for authors and publishers, Copy.Write, with information about its funding programmes as well as topical copyright-related issues. We can all keep up with this ourselves by going to the IFRRO and IAF websites – but we don’t, do we? I don’t. So this looks like a very useful initiative. If you would like to be on this mailing list, simply send an to email news@copyright.co.nz. I have.